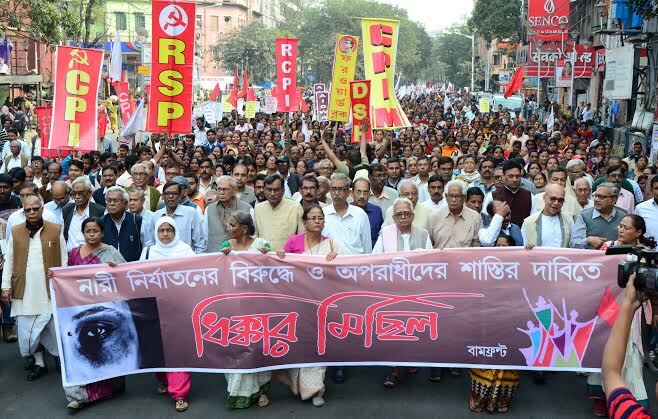 Party conferences in West Bengal have focused on the emerging situation in the state and the necessity of transforming growing discontent among the people into concrete struggles. Nine district conferences have been completed till 15th January, after special meeting of the branches and local and zonal level conferences. Conferences have been completed in Coochbehar, Alipurduar, Jalpaiguri, Darjeeling, North Dinajpur, South Dinajpur, Maldaha, Birbhum and Nadia. In most of them, massive public rallies were held. 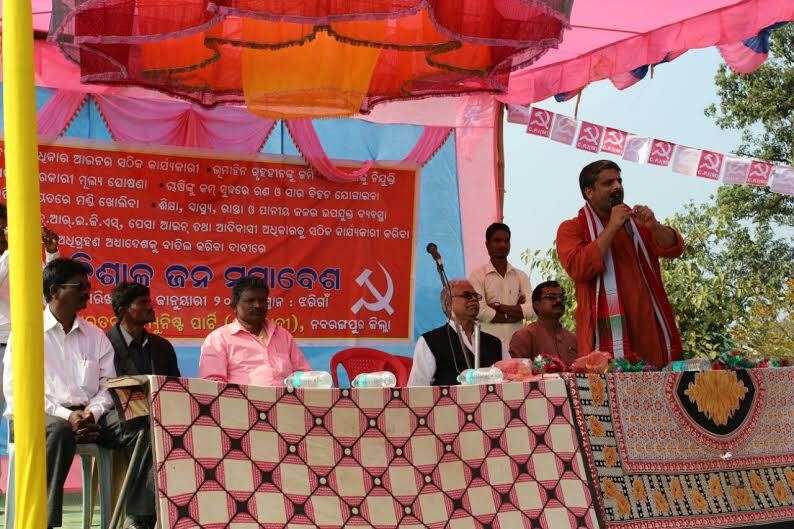 The rallies, themselves were vibrant and enthusiastic in nature, indicating peoples’ trust in the Red flag.The remaining districts will hold their conferences till last week of February and the state conference will begin with public meeting at Brigade Parade Ground on 8th March. There is a perceptible change in the political-organisational reports and mode of discussion in the conference, reflecting the changing reality of the political situation in the state. On the one hand, all-round failure of the TMC government and exposure of rampant corruption have generated discontent, even anger among the people. This, along with persistent work of the Party, has somewhat weakened the terror machinery of the ruling party in many areas. On the other hand, in last few months Party and the mass organizations have been able to organize movements on peoples’ issues more frequently, galvanizing the masses. The trade union activities, like united movement of the tea workers have encouraged the toiling people. Thousands of villages were touched by the peasant Jatha. 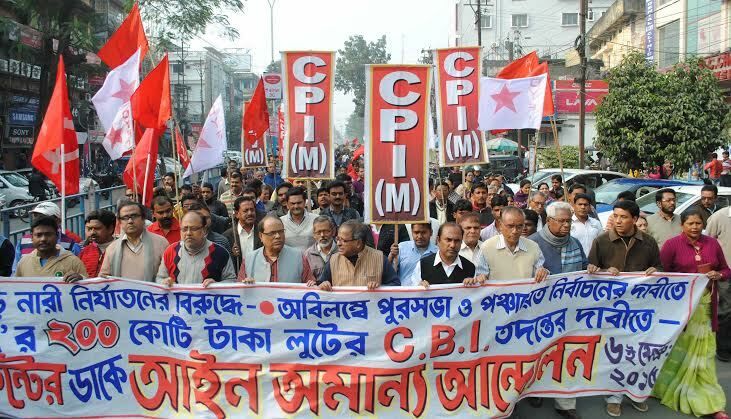 Continuous demonstrations and rallies took place demanding punishment for the culprits in Saradha chit fund scam. The confidence of the Party workers at all levels has increased considerably and mass activities have been intensified. 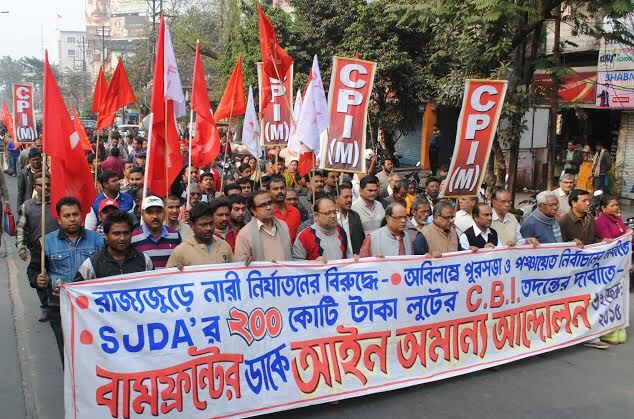 However, as warned by the leaders attending these conferences, communal forces like the BJP are trying their level best to gain from the peoples’ discontent against Mamata-raj. With the support from a section of the media, BJP is showing an aggressive posture. Hence, the importance of twin fight against both TMC and BJP has been emphasized in every conference. 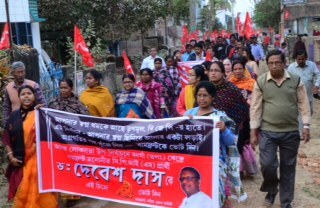 BimanBasu,PolitBureau member and state secretary along with SuryakantaMisraPolit Bureau memberattended most of the conferences. Other state secretariat members are also attending the deliberations. 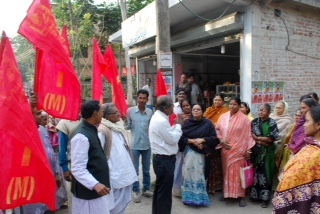 BimanBasu, in his observations, has emphasized the need to strengthen class unity which is being targeted by divisive forces. Without this unity, the class struggle cannot be unleashed. 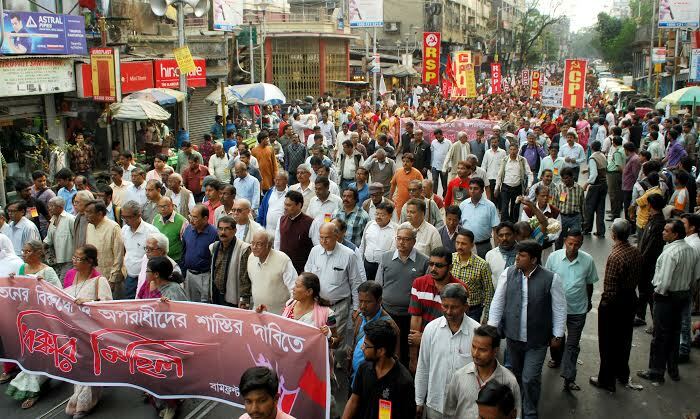 And, though the new opportunities for broadening the struggle have emerged, the Party and mass organizations have to be subjectively prepared for translating those into real movements. This, he underlined in conferences, can be done only by strengthening the Party ideologically and organizationally. Wrong practices and wrong style of work have to be discarded so as to build the Party in the way the people want to see a Communist Party. 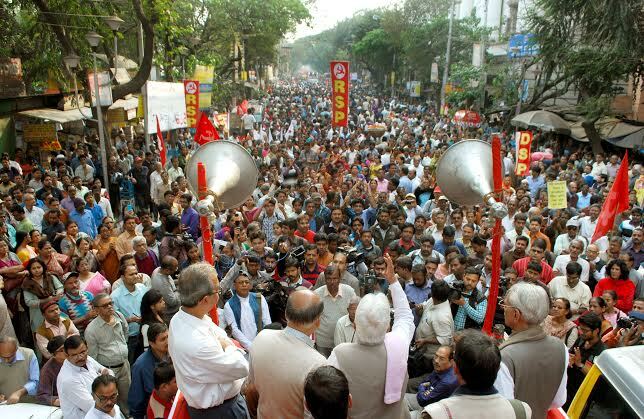 SuryakantaMisra, while addressing the public rallies and intervening in the deliberations in the conferences, called for ouster of TMC government from the state. 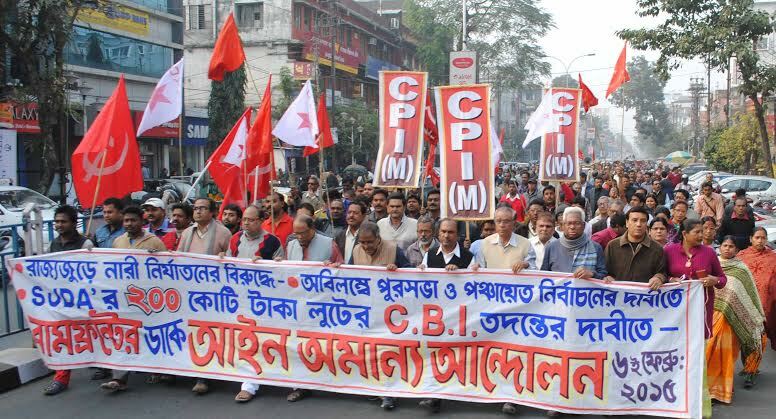 He said in several rallies that this has become urgent necessity so as to arrest the sharp decline of West Bengal and to thwart the communal forces. Without defeating TMC , it will become difficult to resist communal forces like BJP . Basu and Misra have called upon to speed up offensive struggle as the state government has been forced to a defensive position right now. Discussions in the conferences also identified the need to develop struggles centering on local issues, strengthen mass organizations, smoothen Party committee functioning, overcome the problem of lack of initiative among sections of Party members, inducting younger sections into the Party, etc.